When the staff at Flint, Michigan&apos;s Sloan Museum booked "Water&apos;s Extreme Journey" for January 2016, they didn&apos;t expect it would be terribly newsy. The traveling exhibit fit the museum&apos;s mandate—a hands-on approach to science, automobiles, and local history—and it was available. Since "Water&apos;s Extreme Journey" was too small for the museum&apos;s exhibit space, the curators decided to add a section on the history of Flint&apos;s drinking water. The Flint city council and the city&apos;s emergency manager had just decided to leave Detroit&apos;s water system and join the new Karegnondi Water Authority, pumping water from Lake Huron. 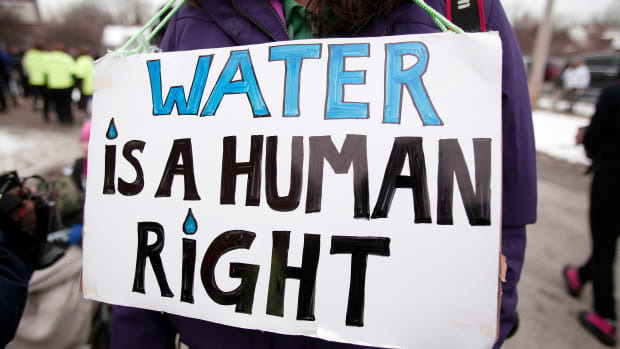 A decision had been made in private to use Flint River water as a temporary measure until the pipeline was in place. The museum staff didn&apos;t yet know about that decision, let alone the health crisis that would follow. "We try to plan our exhibits a good 18 to 24 months out, ideally even farther than that," says Jeremy Dimick, the museum&apos;s curator of collections. 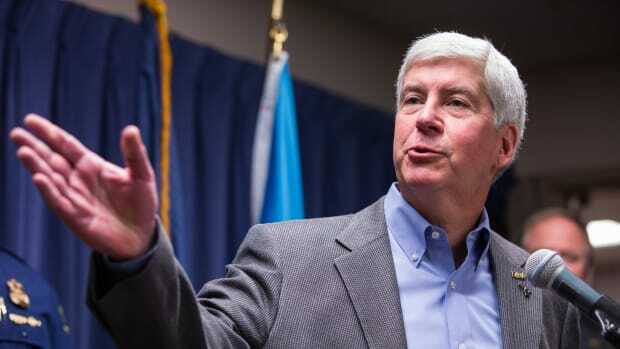 "It was before the switch back to the Flint River water, and before all of the events that set the stage for the crisis. So really, I thought it was going to be kind of mundane. It certainly got more interesting for all the wrong reasons." 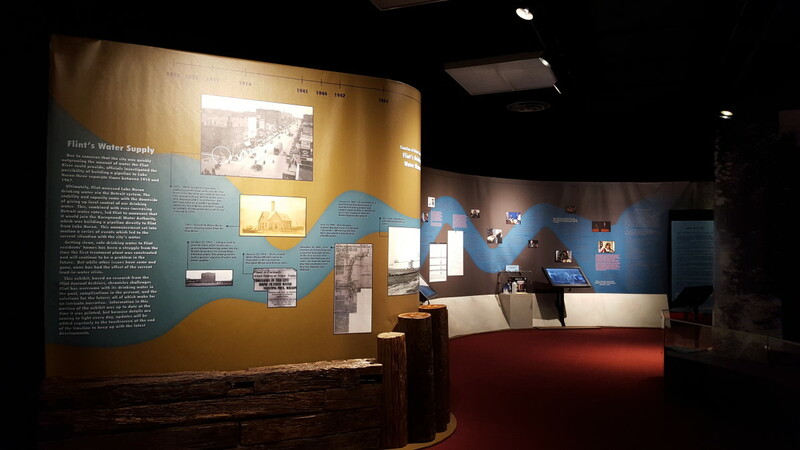 As the crisis unfolded, the timeline Dimick and his team created for the local portion of the exhibit expanded. It still traces the history of Flint&apos;s water system, and the battles between local, regional, state, industrial, and civic interests, all of which led to the disastrous decision to switch to Flint River and the city&apos;s long-unused, underprepared treatment plant. But the exhibit has also become a vital, continually updated document of the ongoing crisis, including resignations, revelations, lawsuits, and emergency measures. "Once I started writing the timeline, I realized that, wow, our exhibit&apos;s going to open and this story isn&apos;t over, it&apos;s just getting started," Dimick says. "We&apos;re updating the timeline about every two weeks, but we could really update it every day, just between what the Flint Journal and Detroit Free Press and News have uncovered, never mind the national attention it&apos;s gotten." The timeline shows that Flint&apos;s problems with water (and contentious debates about how to solve them) have been more or less constant since the city&apos;s founding. The most active period was during and just after World War II, as the city sought to secure sufficient water for the military, the automobile industry, and a booming population. "One of the things I was floored by was that the city looked something like two or three separate times at building [its own water] pipeline, the first one coming from Saginaw Bay coming south," Dimick says. "They actually purchased land in the late 1950s that runs roughly the same route that the Karegnondi pipeline runs, starting in Lake Huron.... Then the deal with the Detroit system came through and it was all tabled. The government decided it was too expensive to pursue." Although the river had known problems with pollution since at least the 1930s, the principal concern wasn&apos;t whether the water was clean, but whether there was enough water available for industrial, commercial, and residential needs. The Flint River, particularly in the summer, flows too slowly to serve a city of over 200,000 people. During the war, Dimick says, the United States government built over a dozen exploratory wells to serve as a back-up in case the river water was insufficient for its factories. Local officials also had to weigh local control of their water supply against the cost of building a new pipeline. Ultimately, executives from General Motors, who had interests in Detroit and were easily the top employer in Flint, swayed the city to join Detroit&apos;s system, citing lower costs and better reliability. Then as now, saving money trumped everything, including water quality and local control. "I was really surprised that they were talking about all of the same issues 70 years ago," Dimick says. Beyond the timeline, the museum added a series of programs and forums, for both students and the general public, addressing the crisis. "My original intent was to host programs highlighting the work organizations in our community are doing to protect the Flint River watershed," says Laurie Bone, the museum&apos;s senior curator of programs, mentioning the Flint River Watershed Coalition, the Genesee Conservation District, and the Michigan Sea Grant. Those events are still going forward. But the museum&apos;s future events also include figures playing a more direct role in addressing the crisis. Jeff Wright, who serves as the county drain commissioner and head of the new regional water authority, will discuss the Karegnondi Pipeline. 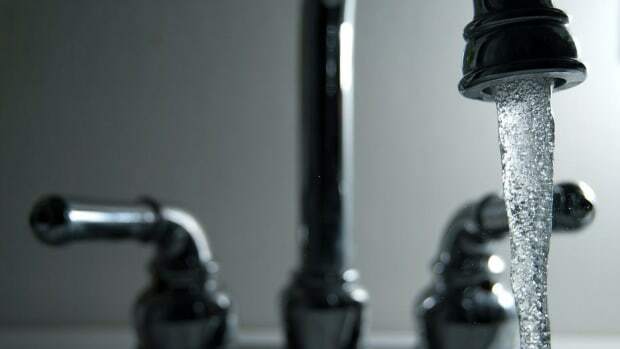 On March 3, Dr. Mona Hanna-Attisha, the physician who demonstrated elevated lead levels in Flint&apos;s children, will lead a free event about lead poisoning&apos;s continued impact on Flint&apos;s children and ways to mitigate exposure. The museum&apos;s programming has brought some clarity to a community that&apos;s been fed a lot of official misinformation. "As you might imagine, the residents of Flint are not very trusting right now of any government authority to give them answers, because they got very poor answers from government authorities in the past on this crisis," says Todd Slisher, executive director of the Sloan Museum and Longway Planetarium. 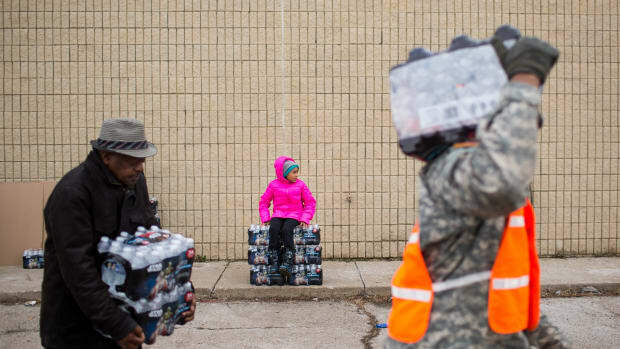 "It causes people to question and to wonder, &apos;Who do we trust?&apos; &apos;How do we know your answers are right?&apos;"
There are crucial questions in Flint that remain unanswered. At an event with reporters from the Flint Journal on February 11, audience members asked hard questions about how state and federal money would be spent, and tried to identify a coordinating authority for relief efforts. "It&apos;s a mishmash," Slisher says. "There&apos;s not one specific authority that is handling all of the details of the crisis right now." 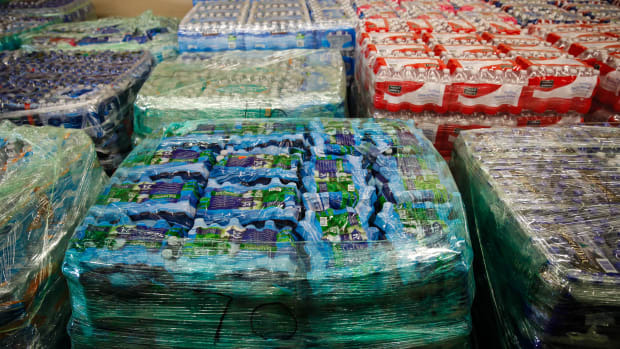 The State of Michigan has established a 211 number and a website for Flint residents to receive aid, but that only goes so far. 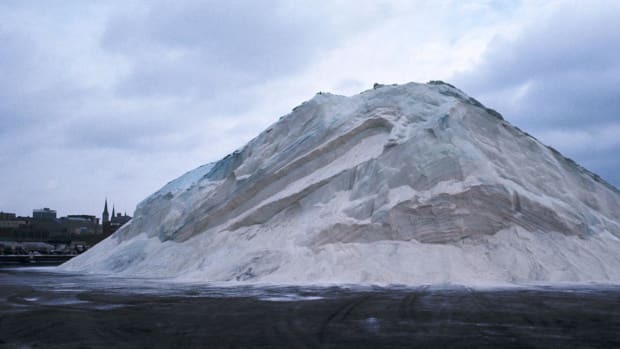 "There are a number of agencies from the United Way to the DEQ to the EPA to state other officials that are all assisting, but people are confused as to where to go for answers," Slisher says. The museum, Slisher says, is doing its best to fill in the gap by carefully vetting information from all of those sources. Though its curators are more accustomed to dealing with universities and historical societies than government agencies and public offices, so far, they’ve gotten credit for getting it right. Besides repairing or replacing its infrastructure, the next stage for Flint, and for the museum, is identifying long- and short-term ways to treat people exposed to the tainted water, especially children. The exhibit that began by looking at the past before it was forced into documenting the present now has to look to the future as well. "I probably took that getting a glass of water for granted," Dimick says. "It&apos;s amazing how something so small suit so very complex and how much trouble just went to every municipality of any size, how much trouble they go through to get clean drinking water for people. Now, I’m surprised any of it ever works." The Rust Belt city's disaster is a sign of things to come.